Meet the Daemon Hunter Baccus, warped pariah, ex-Inquisitor(? ), on his eternal hunt of his arch nemesis. That’s not all folks. 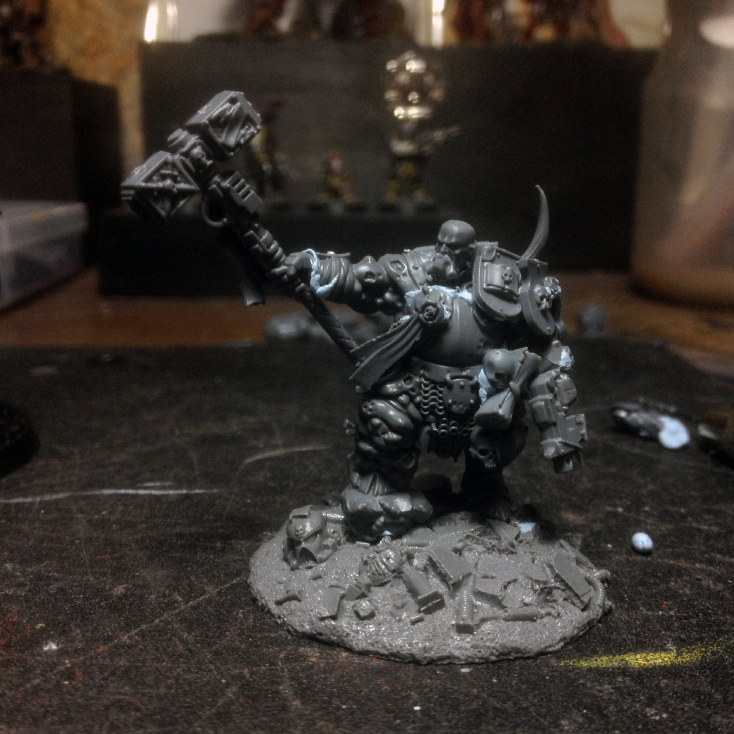 I had plenty of Dreadnought bits left after the amazing Invitational, so I thought to put some of the pieces together and add another member to my regular Chaos Space Marine warband – that being Lords of Decay mixed with the Children of Emperor. I’m using this small side project as an excuse to play with relaxed decaying and weathering effects. We’ll see how things turn out. Awesome looking dread. It’s nice to see you with some new additions to your projects. One more time a beautiful conversion! But I also think that in has a small shield of excess there, but it remains a personal opinion. I am impatient to see it painted! I actually like the two shields. Its quirky and that’s what I like about 40k. Cool mini and I look forward to seeing him finished. What is the head from by the way? Baccus is badass. 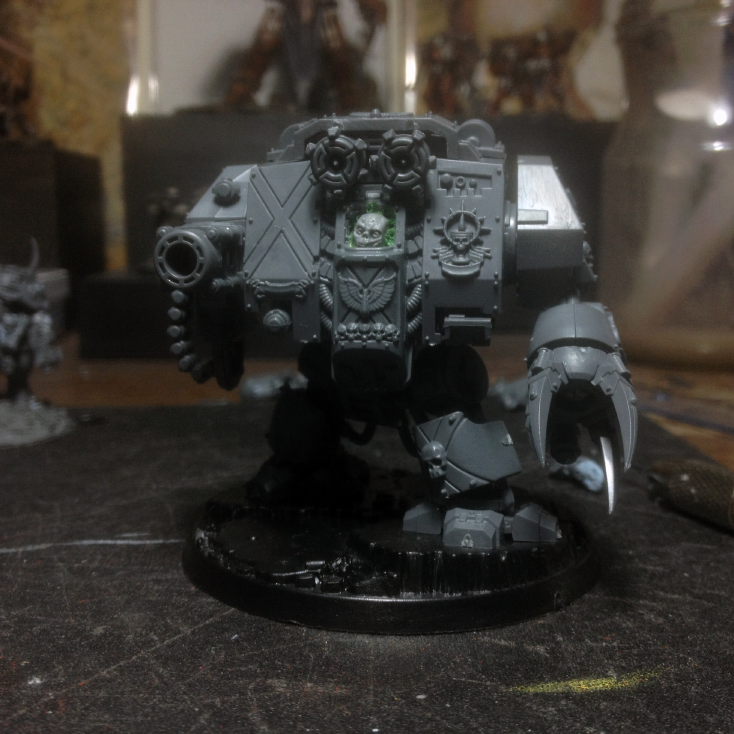 The Blight Kings are perfect conversion vessels. Next Post Where she walks, the death follows.